We are a fourth generation family business serving customers in northern Illinois and southern Wisconsin as well across the country. 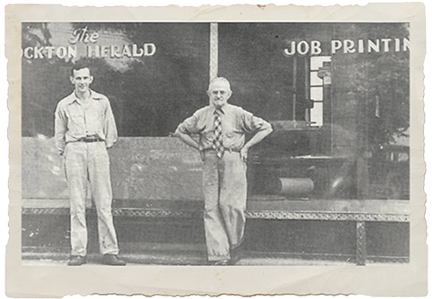 We got our start in 1914 when R.I. Balsley became the publisher of a weekly newspaper and print shop on Main Street in downtown Rockton, Il. 100 years later we are still located on Main Street and fulfilling the printing and mailing requirements of businesses, small and large.